Blog Wayback – Is Dr. Seuss from Charlottesville? Dr. Seuss Charlottesville, Dr. Seuss whoville charlottesville, the grinch … every year the questions renew …Is Charlottesville the inspiration for Dr. Seuss’ “How the Grinch Stole Christmas”? It’s that time of the year again – for the past several years around 1 December, the searches start to show up in my blog statistics – “Grinch Charlottesville,” “Is the grinch from Charlottesville, Virginia?” “Is Charlottesville the inspiration for Dr. Seuss’ How the Grinch Stole Christmas?” “Charlottesville Whoville” and on and on …. First, Ace can tell you what it’s not. It’s not Monticello, as many a doofus tourist believes it to be. It’s also not Dr. Seuss’ house. 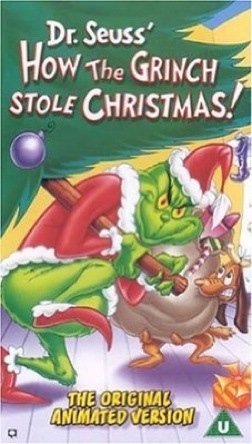 That particular rumor started in correlation with the rumor that How the Grinch Stole Christmas’ “Hoos down in Hooville” was based somehow on a certain local university’s Hoos down in Hooville. Only problem being that Theodor Geisel—a.k.a. Dr. Seuss—spent his whole life in New England, Europe and California, and his “Hoos” were actually “Whos down in Whoville.” The fact that the story depicts Hoos/Whos as absolute saints surely didn’t hurt that particular tall tale’s traction with a student body that’s not exactly known for its modesty and perspective. So – if it makes you feel better about Charlottesville to tell friends that Dr. Seuss’ inspiration for the green guy whose heart eventually triples in size came from Charlottesville – go ahead. It’s a neat story. “Rio,” which means “river” in Spanish, was most likely used as a name for the old mill and bridge on this road because of their proximity to the Rivanna River. But the Spanish word is pronounced “Ree-o,” some may point out. True, but locals at the time may have opted for the long “i” sound perhaps because it fit with the local pronunciation of the “RY-vanna” river. No one knows for sure, but they do know this: it was never Route 10.